The definitive story of the blue section of our planet, the oceans, which run from the shores to the open depths of the sea. An epic, eight part series that took five years to complete, The Blue Planet firmly re-establishes the BBC as the world’s pre-eminent producer of top quality nature documentaries. Exploring every aspect of marine ecosystems, from coastal marshes to deep-sea trenches and from polar waters to tropical reefs, The Blue Planet is thorough and informative, yet never less than thrilling. Episode 4 Seasonal Seas – Just when the weather is at its worst, 100,000 grey seals haul themselves up through the surf on to Sable Island off Nova Scotia. This is the world’s largest colony of grey seals and perversely they’ve come to breed in winter. Within 18 days the pups are abandoned, but spring is on its way with plenty of food. On the seafloor, seaweed stretches towards the sunlight, and off the coast of California, underwater forests of giant kelp grow up to 100 metres high. Series following the high adrenaline adventures of a team of divers as they explore and film the depths of the world’s greatest river system with cameraman Michael deGruy. You’d think TV crews would be hard pressed to find any corner of the planet that hasn’t been filmed, but it turns out that in the Amazon rainforest there’s a habitat where no cameras have ventured: the river itself. Episode 1 – The bottom of the Amazon River is home to many of the strangest and fiercest creatures in the world. It was the first time an expedition had ever attempted anything so ambitious and they discovered an alien world, full of beautiful and bizarre creatures. The darkness also hides many dangers, anaconda, piranha, giant catfish, stingray and caiman. The definitive story of the blue section of our planet, the oceans, which run from the shores to the open depths of the sea. An epic, eight part series that took five years to complete, The Blue Planet firmly re-establishes the BBC as the world’s pre-eminent producer of top quality nature documentaries. Exploring every aspect of marine ecosystems, from coastal marshes to deep-sea trenches and from polar waters to tropical reefs, The Blue Planet is thorough and informative, yet never less than thrilling. Episode 8 Deep Trouble – Scientists believe many species that are eaten every day are now seriously threatened. Most people have no idea where the fish they buy come from let alone how endangered they might be. As fish stocks dry up, supermarkets are now offering new and strange species from the deep sea. Bizarre looking creatures are being dragged up in vast fishing nets from depths of 1,000 metres or more. The methods used to catch them are horrifying. As the nets drag along the sea bed they rip up 100 year old corals and sponges, destroying the habitat. So even these new species may not be available for long. The Naked Archaeologist Who Wrote The Bible? The archaeology is naked. The archaeologist is clothed. The Naked Archaeologist hosted and prepared by the Emmy Award winning journalist, amateur archaeologist, and enthusiast Simcha Jacobovici together with Avri Gilad. 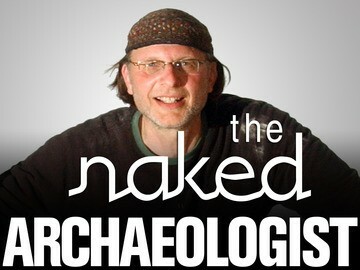 The naked archaeologist is an entertaining and eye opening journey into the fascinating archaeology of the ancient world. 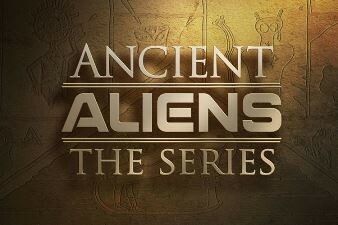 This is not meant to be an exhaustive presentation of all sides of often controversial topics, instead it is an accessible history, science, and archaeology series meant to spark interest that viewers can explore further on their own. Season 1 2005 Episode 24 Who Wrote the Bible? – The Bible is made up of dozens of books, but tradition has it that the first five books were dictated to Moses, by God. But could Moses have really written down the words that God spoke, including the Ten Commandments? The Bible says that millions of people witnessed this event – but what does archaeology say? 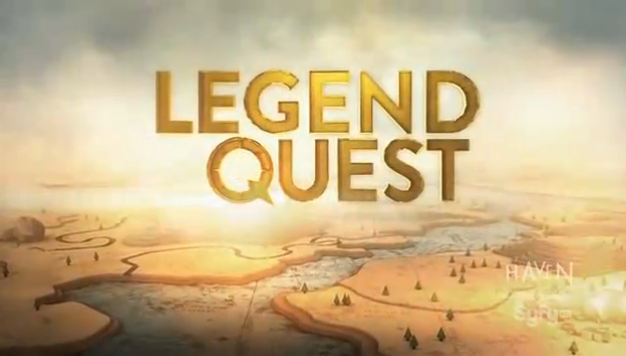 The series follows historian and adventure seeker Ashley Cowie in his quest to crack the code on his hunt for the most powerful lost treasures in the world that are some of history’s greatest and most mysterious artifacts. After spending years studying some of the world’s most fascinating relics he is on the hunt to find where they are. Episode 6 Holy Grail – Ashley and his team go after one of the biggest legends of the Middle Ages, the Holy Grail, thought to be the cup used by Christ at the Last Supper. 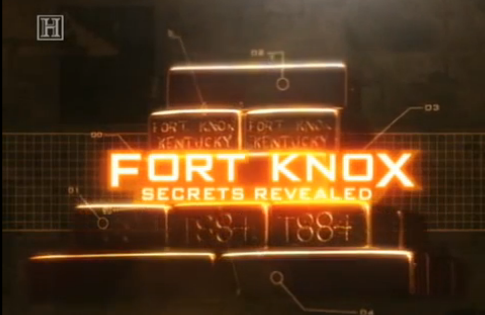 The U.S. Bullion Depository, better known as Fort Knox, is home of the United States Army and one of the world’s most top secret fortresses. Hidden deep inside the vault is an estimated $73 billion dollars in gold. Almost all information about it is classified. Through interviews with eyewitnesses, rare photos and rarely seen films, we will construct a picture of what the building might look like. Hear testimony of those journalists and congressmen who were among the select few invited inside in 1974. Modern Marvels celebrates the ingenuity, invention and imagination found in the world around us. This series tells fascinating stories of the doers, the dreamers and sometime schemers that create everyday items, technological breakthroughs and manmade wonders. The hit series goes deep to explore the leading edge of human inspiration and ambition. Episode Eiffel Tower – When it was built over a century ago the Eiffel Tower provoked widespread outrage among some of France’s most prominent citizens of the day. This documentary brings the captivating story behind one of the most recognizable engineering marvels of the late nineteenth century. It is a monumental tale of the technological challenges and architectural breakthroughs brought about by the construction of this preeminent hallmark of the City of Lights. What if all the information in the world was categorized and easily searchable? What if all the news from around the world, all books, written texts, photos and videos that exist on a place in the world would be collected, and would be available everywhere? That is precisely the goal of Google and it will not be long for it to be realized. Through the well known search engine, Google Earth, where all information is classified by geographical location, along with Google Books, a project where Google digitizes complete libraries. 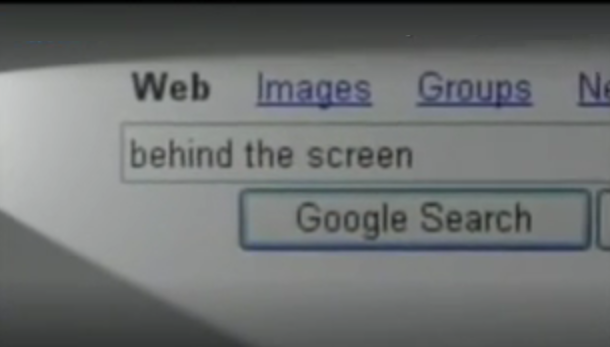 Google: Behind the Screen includes interviews with Marissa Mayer, Vint Cerf, Ian Brown (Open Rights Group), Brewster Kahle (founder of Internet Archive) and others covering topics such as page rank, targeted advertising, life at Google, user privacy, machine translation, the story of Don’t Be Evil. Modern Marvels celebrates the ingenuity, invention and imagination found in the world around us. This series tells fascinating stories of the doers, the dreamers and sometime schemers that create everyday items, technological breakthroughs and manmade wonders. Episode Stereo and the Sound Revolution – It has become a new dimension in entertainment. It pulls us into the center of the action with explosive sounds and computer controlled audio design from it’s humble beginnings in the basements of amateurs stereo has grown into a multi billion dollar industry. Dynamic sounds sends shivers up our spines in the theaters, relaxes us at home, and entertains us in the car. The story of stereo is the story of invention and transformation. Sound revolution was a quest by visionaries for the perfect listening experience, it was a quest for the impossible, audio perfection. Stereo didn’t debut until 1957 but it had a long history of brilliant sound breakthroughs as early as the 1920s America was tapping it’s feet to amazing innovations that brought music into the home. The revolution in audio had begun. 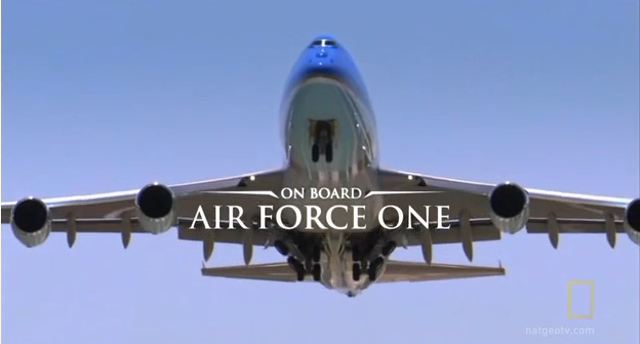 Get an inside look at the aircraft that flies U.S. presidents all over the world in this fascinating National Geographic documentary about Air Force One. Viewers will take a tour of the plane and learn about flight strategies for presidential travel. In addition to exploring the high tech wonder at rest, the program follows former President George W. Bush as he travels to the Middle East on Air Force One in January 2008. Modern Marvels celebrates the ingenuity, invention and imagination found in the world around us. This series tells fascinating stories of the doers, the dreamers and sometime schemers that create everyday items, technological breakthroughs and manmade wonders. The hit series goes deep to explore the leading edge of human inspiration and ambition. Episode The Golden Gate Bridge – The Golden Gate Bridge is one of the foremost man, made tourist attractions in the United States. But at one time, critics said it could never be built. From the start, the project looked impossible. Yet engineer Joseph B. Strauss’ plans proved to be a masterpiece of design and function. In four years, the longest, highest, most spectacular suspension bridge on earth opened to the public, and became one of the greatest symbols of American ingenuity. 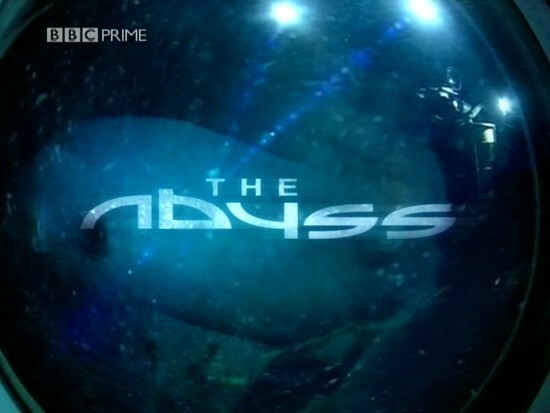 BBC One comes live from the abyss. 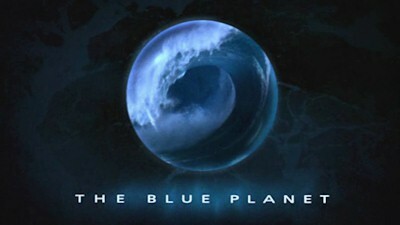 Over a unique day of broadcasts, live pictures are beamed up from the very depths of the ocean as tiny submersibles search for the weird creatures first encountered in the documentary series The Blue Planet hosted by David Attenborough. Off the Californian coast, Peter Snow and underwater cameraman Mike deGruy comment on the action as a remote operated vehicle dives live to 2,000 meters beneath them. Keen divers Kate Humble and Alastair Fothergill (Blue Planet) share their extraordinary experiences of diving in tiny submersibles. Modern Marvels celebrates the ingenuity, invention and imagination found in the world around us. This series tells fascinating stories of the doers, the dreamers and sometime schemers that create everyday items, technological breakthroughs and man made wonders. Episode Tower Bridge – Bruce Nash and Christoph Ritter take the helm in this documentary glimpse at London’s Tower Bridge, the iconic connected towers that have dominated the Thames since 1887. Archival footage of the building process and the bridge’s evolution over the years lends fascinating historical detail to a fixture of the London skyline. 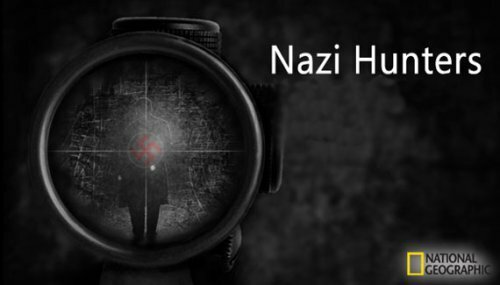 Nazi Hunters chronicles the stories of those individuals who chased some of the most hated and reviled criminals on earth. Prepared to hunt the perpetrators of the World War II atrocities that shocked the world, these pursuers of justice included the likes of Winston Churchill, the British Special Air Services, the strategists who planned the D-Day landings and the Israeli Institute for Intelligence and Special Operations (Mossad). Episode The Angel Of Death Mengele – He experimented on adults and children in the Auschwitz death camps. He was a prime target and was, for many years, the world’s most wanted criminal. The Hunters were Simon Wiesenthal, the UN War Crimes Commission and even Mossad. But none of them succeeded. The life story of a remarkable language. 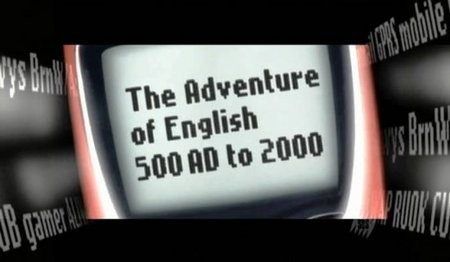 Melvyn Bragg and a host of experts explore the vibrant 1,500 year history of the English language. How did it grow from a relatively insignificant Germanic dialect to become the premier language of culture, commerce, and diplomacy around the globe? The answer involves bloody conquest, political intrigue, and plenty of creativity. Episode 1 Birth of a Language – The modern Frisian language is the closest sounding language to the English used approximately 2000 years ago, when the people from what is now the north of the Netherlands travelled to what would become England, and pushed the Celtic language, ancestor of modern Welsh, to the western side of the island. Words like “blue” can be recognised in the Frisian language. Bragg then discusses how English dialects in certain areas of the United Kingdom were heavily influenced by historical events such as the invasion of the Vikings in the east, contributing words such as “sky” to the English language.